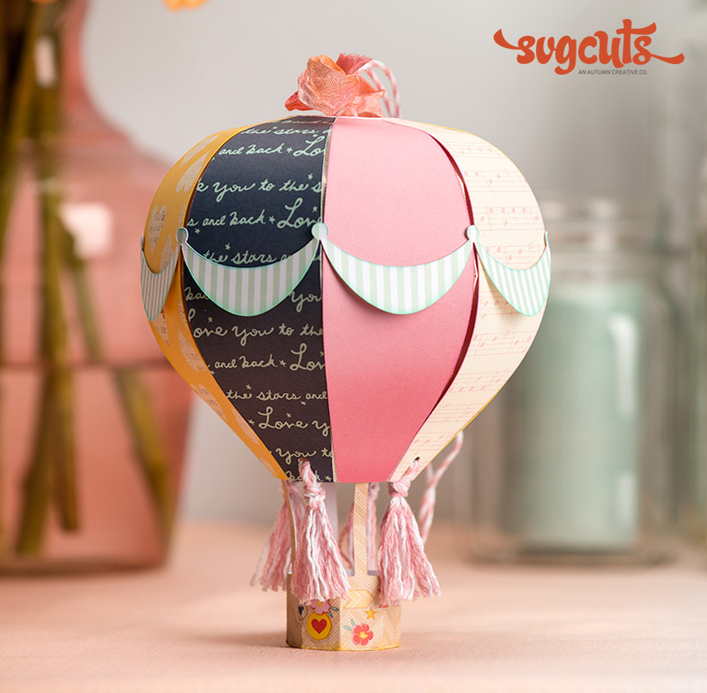 Create a whimsical Autumn with five all-new paper projects for Fall! 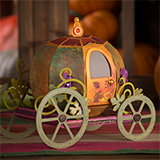 The Pumpkin Carriage is sure to enchant and amaze! 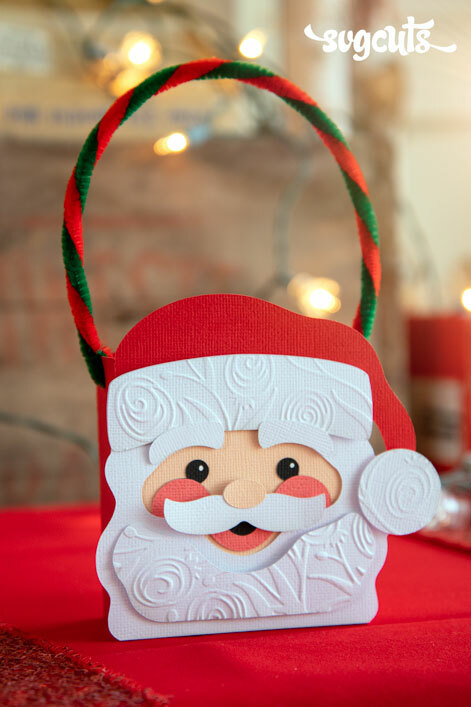 Make it as a centerpiece or decor or as a super special gift! 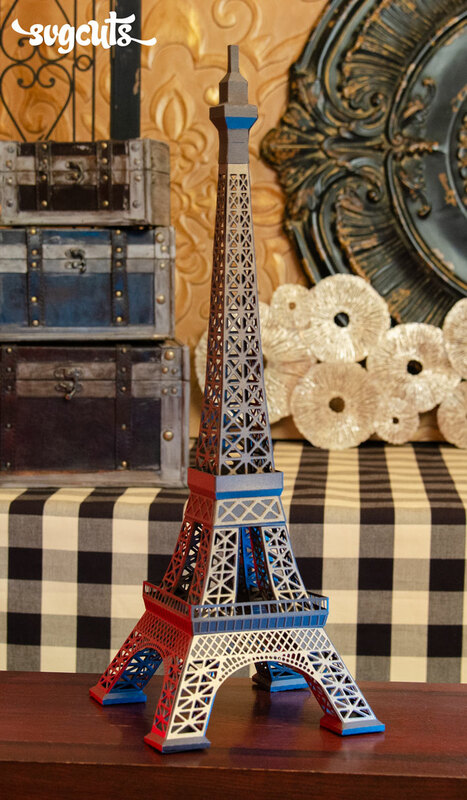 You could even create it "Princess-style" in whites and blues or in pinks! 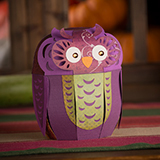 The Owl container can also be made in a wide array of cute colors, or in more realistic browns. 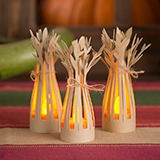 The Cornstalk Luminaries add a cute touch anywhere for Fall, or use them on your Thanksgiving table! 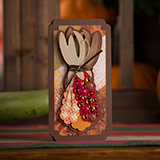 The Colorful Corn card shows off your favorite Fall-colored bling and gemstones. 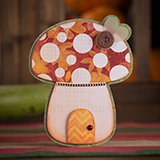 Or send someone the cute and simple Mushroom Card, which could also be made in a wide variety of colors for different looks! 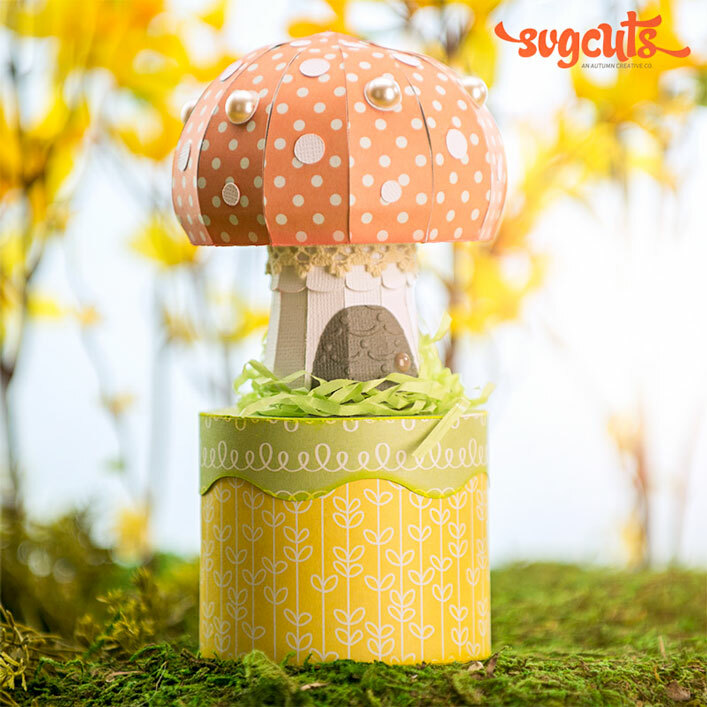 Each finished project measures as follows: Colorful Corn Card - 3.6 x 7”, Cornstalk Luminary - 1.5 x 1.5 x 5”, Mushroom Card - 5 x 6.4”, Owl - 5 x 7 x 5”, Pumpkin Carriage - 10 x 6 x 10”. SCAL2, SCAL3, ECAL, MTC, and Silhouette Studio Designer Edition. Almost everything can be created on any mat size, except for the Pumpkin Carriage, which can only be created using a 12x12 mat. 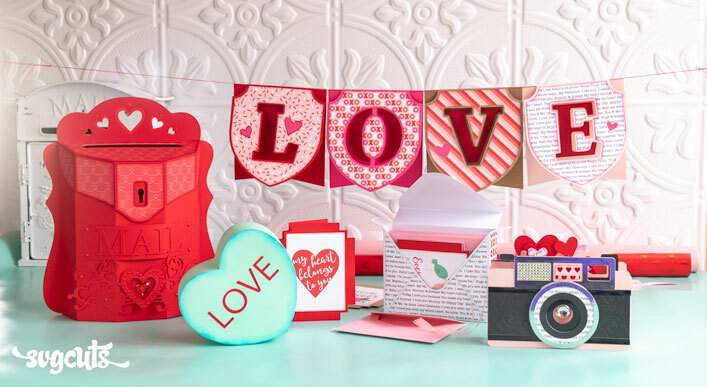 Smaller mat users also cannot create the cards' envelopes and 12x6 mat users cannot create the Owl.